ORLANDO, Fla. — The Air Force Reserve Yellow Ribbon Reintegration Program helps service members and their loved ones build a roadmap to success by preparing them for pre- and post-deployment challenges, but what is often overlooked are behind-the-scene service providers who help navigate that plan. One provider, Project Youth Extension Service, is a Department of Defense national internship program that focuses on needs of children attending Yellow Ribbon events around the country by providing resources before and after a parent’s deployment. Yellow Ribbon began in 2008 following a congressional mandate for the Department of Defense to assist reservists and National Guard members in maintaining resiliency as they transition between their military and civilian roles. During Yellow Ribbon events, adults are provided training on education benefits, health care, retirement information and more while children 6 and older are placed in care of Project YES volunteers providing resources tailored to their needs. 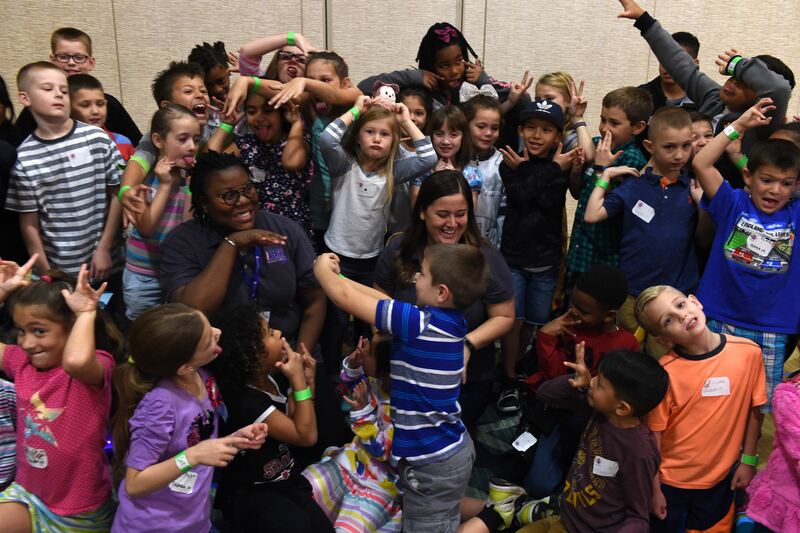 Rather than acting like child care providers, volunteers serve as role models and friends, said Erica Pullen, a Project YES support staff who has been with the program for more than five years. At the beginning, participants are usually timid, so staff use activities designed to break the ice, she said. They want children to start developing relationships with others who are experiencing similar things associated with deployments. As a military child whose parents both retired from the Army, Pullen understands first-hand the difficulties faced from having a deployed parent. After children and youth have broken the ice they begin activities to help build leadership skills, team building and life skills, said Kelsey Roach, Project YES team lead. In her role, Roach is responsible for uniting Project YES interns and coordinating activities for specific events. Roach’s father is a GI and she has attended a variety of teen leadership programs through military organizations since she was a child. In addition to helping children, Project YES also provides critical hands-on experience and training needed for staff to enhance their careers after college. Interns receive training in leadership development, facilitation skills, youth development and applicable curriculum during the initial orientation. They also receive ongoing leadership and curriculum education throughout the year through distance and online educational venues. From 2011, when the program was created, it has supported Yellow Ribbon youth events for various service branches and others types of youth venues in 49 states and four U.S territories, helping over 20,000 youths. • Wolfpack Leadership & College Experience Week a SUCCESS! • How Do Accountable Care Organizations Affect Medicare Beneficiaries? • Medicare Summary Notices: Are Those Charges Mine?